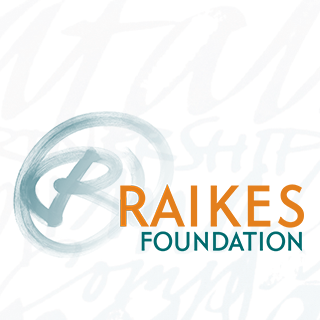 SEATTLE -- The Bill & Melinda Gates Foundation and the Raikes Foundation has announced a new partnership to help Washington's 35,000 homeless students find the support and stability they need to thrive. The two foundations have joined with the Paul G. Allen Family Foundation and the Campion Foundation to collectively commit $1.86 million to the effort, known as Schoolhouse Washington. Non-profits Building Changes and Columbia Legal Services will lead the partnership's work to fund and advocate for innovative approaches that support students experiencing homelessness, their families and their schools. The number of K-12 students who experience homelessness in Washington's public schools has grown by 111 percent since the 2006-2007 school year. The total number is now enough to fill 500 school buses. This includes a disproportionate number of black/African-American and Alaskan Native/American Indian students, who are three times more likely to experience homelessness than their white peers. Historically, only half of students who experience homelessness graduate high school on time—a rate lower than all groups other than students in foster care. "We know that school is often the most consistent point of connection young people have. Teachers and school staff are face-to-face with the realities of homelessness every day," said David Bley, director of the Pacific Northwest Initiative at the Bill & Melinda Gates Foundation. "With the right support, they can help our community break the cycle of homelessness and put our young people on a path toward successful adulthood." The announcement comes on the heels of momentum by policymakers and school leaders to address this piece of the homelessness crisis. A recent report by Civic Enterprises and Hart Research noted that there are 1.3 million homeless K-12 students nationwide, many of whom go unseen and unsupported. The report also highlighted opportunities presented by the federal Every Student Succeeds Act, which passed into law this year and calls for improved support for in-school liaisons tasked with connecting homeless students to resources. Experts believe that Washington is strongly positioned to take advantage of these opportunities, even as the rate of student homelessness climbs. The state legislature last year passed the Homeless Student Stability and Opportunity Gap Act to fund partnerships between schools and housing providers. Washington is also one of only five states in the nation that tracks the graduation rate for homeless students—an important benchmark for progress. "We have an undeniable window of opportunity to reverse the trend on student homelessness in Washington. There's a growing need for action and our state has the cross-sector support it will take to be a trailblazer for the nation on the issue," said Tricia Raikes, co-founder of the Raikes Foundation. "Schoolhouse Washington is philanthropy's commitment to capitalizing on this opportunity and we know it will take a collective effort. We'll be looking to schools, service providers and community partners for promising ideas that move the needle for students facing homelessness." "As a community we have a duty to work together to address the systemic issues that homeless students are challenged with each day, and Schoolhouse Washington provides a vital platform for advocacy, education and collaboration to prevent student homelessness," said Tony Banbury, head of Paul G. Allen's philanthropic efforts. "We are looking forward to joining forces with these tremendous partners to help solve this crisis." Schoolhouse Washington's work to incubate promising practices will be managed by Building Changes, which works across the state to make youth and family homelessness rare and brief. Funding for this aspect of Schoolhouse Washington will initially focus on schools and service providers in King County. Building Changes will also partner with Columbia Legal Services to advocate throughout the state for effective policies on student homelessness—something the organization has done under the Schoolhouse Washington brand in the past. "When an average of one child in every Washington classroom is homeless, it's clearly time to change course," said Helen Howell, executive director of Building Changes. "We know schools are doing creative, resourceful work to find and help these students and their families get back on their feet—but they're doing it in isolation. Schoolhouse Washington will shine a light on what's working, and spread smart and effective solutions to more cities and communities." Schoolhouse Washington's ongoing work will be shared broadly through SchoolhouseWA.org and BuildingChanges.org.